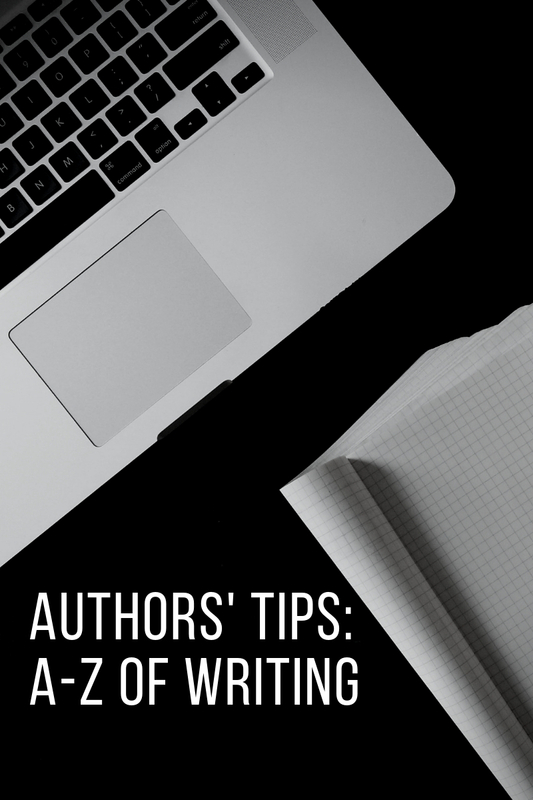 Welcome to Week G of Authors' Tips: A to Z of Writing. When we talk about fiction, we automatically think of the story in terms of genre. So, if someone were to ask you what is your book about, your first response would be to define it in terms of its genre - such as romance, thriller, mystery, comedy, drama, horror, etc. It's a quick and easy way of classifying the kind of fiction your book falls into -- and thus helps in its marketing. But genre is much more than a system of categorising your novel. It signifies to the reader the artistic style of your story and feeds into his/her expectations of the book. As a writer you need to understand the conventions of the genre that you are writing in, so as to not disappoint your readers. For instance, if your book's genre is romance but reads more like science-fiction then you will have a lot of dissatisfied readers who bought the book expecting to read about a couple falling in love rather than one about inter-galactic warfare! Sure you can have a romance with a sub-genre of sci-fi or vice-versa as long as this is made clear to the reader. Genre has an impact on the structure of your story, the kind of characters you develop, the plot elements, resolution and finale. What's more, it even impacts the dialogues, tone, settings and the ambience of the world in which the story is set. An edgy thriller like Gone Girl is dark as against a light, feel-good romantic comedy like Confessions of a Shopaholic. The two novels (and films) are as different as chalk from cheese in practically every element of their writing. Consider this, if you were expecting to watch a murder mystery or crime movie, you are going to be one unhappy viewer if you found that a crime/murder doesn't happen within a reasonable period of the viewing time. This also means that the pace of the story and its narrative style is largely dictated by its genre. 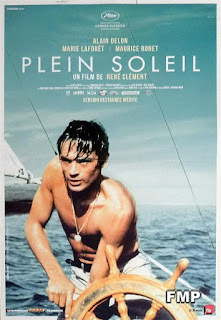 Patricia Highsmith's novel The Talented Mr. Ripley was made into a movie twice, once in 1962 with the title Purple Noon (Plein Soleil) and the second time in 2000 as The Talented Mr. Ripley. 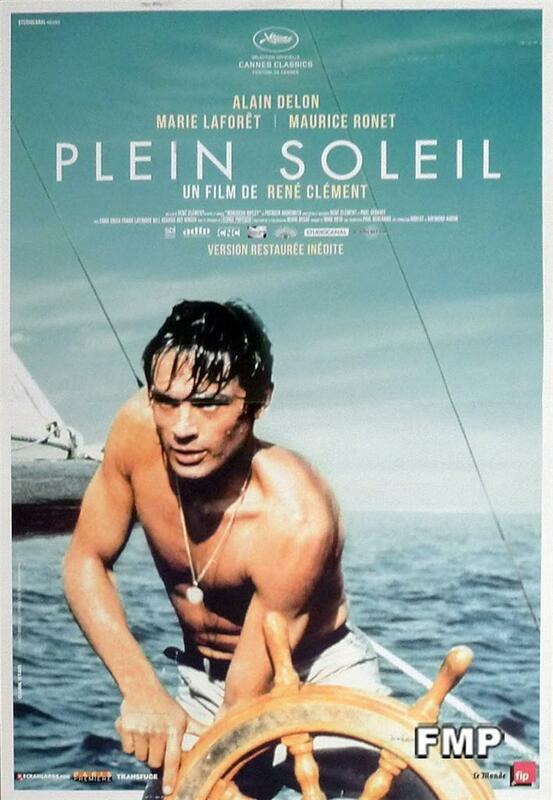 In the first adaptation, the movie was presented as a thriller whereas the Anthony Minghella-directed The Talented Mr. Ripley was a melodrama. As reading preferences increase a reader has a variety of genres to choose from. And even within a particular genre, there are many sub-genres. 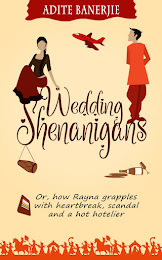 Romance novels can be categorised as romantic drama, romantic comedy, romantic suspense and then there's women's fiction where relationships and family are the main focus but it could have some romance in it as well. Or as was earlier mentioned, romance with sci-fi. So, if you decide to go with a genre first make sure to find out what are the conventions of the genre before you put pen to paper. 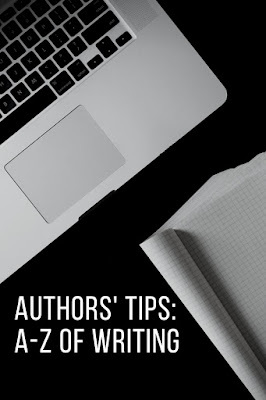 Welcome to Week F of Authors' Tips: A to Z of Writing. If this is the first time you are visiting this blog, here's a quick recap. In this series authors share their tips on writing fiction - and each week we share our insights on various aspects of writing. So for Alphabet F, let's talk about Flaws. Have you met the Perfect Human who doesn't have a single flaw -- no matter how small? And I'm not talking about 'looks' here, but traits. Well, that would be well-nigh impossible. Likewise, in fiction too, we can't get away by creating the Perfect Protagonist. Why? a) Because a man/woman who doesn't have any flaws or imperfections is simply too good to be true. And fiction has to be believable. b) It would be extremely boring for a reader to read about a man/woman who is well, just too perfect! As they say, there's no such thing as a perfect diamond. So too, with your characters. The 'flaw' is what makes your character react to a situation in a unique way and take decisions that adds drama and conflict to your story. Here's an example from the movie Casablanca. 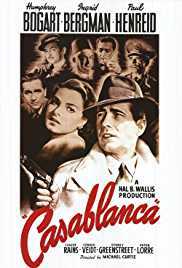 Set in the backdrop of the Second World War, the movie tells the story of Rick, an expatriate American who runs a 'gin joint' in Casablanca. He is cynical and bitter having suffered a heartbreak. But when the girl, Ilsa, who broke his heart turns up at his bar and asks for his help so that her husband Victor can get away from the Nazis, he has a difficult choice to make. Will he use the transit letters that he has to help Victor escape or will he carry through with his plan of persuading Ilsa to run away with him? Rick's (played by Humphrey Bogart) flaws are pretty much in evidence -- his cynicism, bitterness and his inability to put his heartbreak behind him -- and drive his actions and decisions. He wants Ilsa back in his life at any cost. Ilsa (played by Ingrid Bergman) has her own flaw -- she is indecisive and is torn between the two men in her life. Both characters' flaws drive the story, adding drama and conflict. It also helps create a strong character arc for Rick -- from a bitter man who is obsessed about his own grief and loss to a man who sacrifices himself to save Victor from the Nazis. In its essence, a story is all about how a character grows and evolves. This emotional growth of the protagonist is what adds to the character's appeal. He/she becomes more relatable to the reader. It adds internal conflict, helps raise the stakes for the character and makes the audience more emotionally involved with your protagonist. A flaw is that one crucial element in your character's makeup that can make all the difference to your story. Who is your favourite character and why? Do share your thoughts. 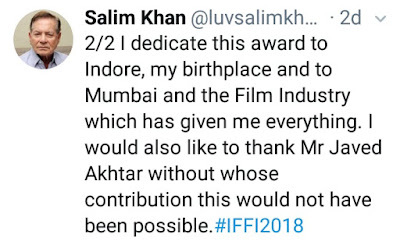 It’s only in the fitness of things that such a wonderful human being should also be acknowledged for his contributions to the world of scriptwriting by the International Film Festival of India (IFFI) 2018 with a Lifetime Achievement Award for his outstanding contribution to Indian cinema in the same month. Salim Saab’s innate humanity was evident through his acceptance speech which was read out by his son who received the award in Goa on his behalf. 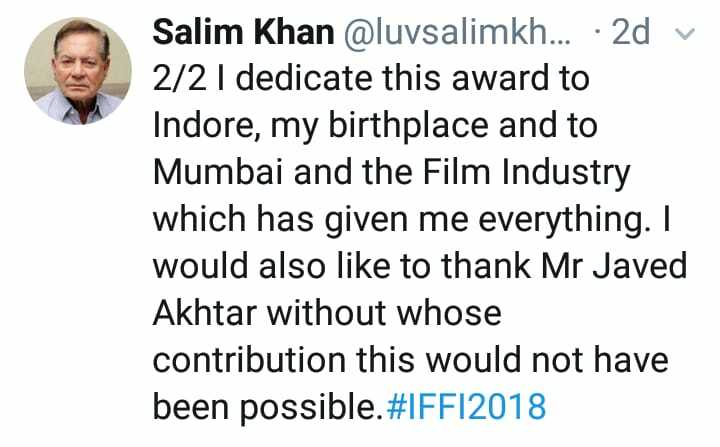 Salim Saab, also later tweeted about it, and dedicated the award to his janmabhoomi, Indore, his karmabhoomi Mumbai and the film industry and his erstwhile writing partner Mr. Javed Akhtar. He mentioned that without Javed Saab’s contribution in his career, this achievement would not have been possible. 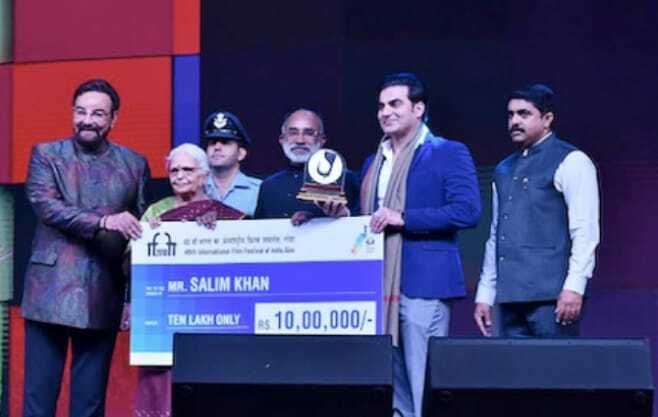 On hearing these words at the event, a lot of present dignitaries were completely overwhelmed with Salim Saab’s gracious gesture, as were countless people in Indore who were touched that he had chosen to credit the city for his success. Indeed, this gesture is special because most do not even feel the need to share their moment in the spotlight with another human, never mind their birthplace. And that’s exactly what makes Salim Saab so special. While there is no denying that Javed Saab’s participation has been crucial not just in the making of team Salim-Javed but also in the historic chapter of contemporary Indian cinema, only a person as magnanimous as Salim Saab would include another individual in his moment of glory. Uncannily, Javed Saab used the same adjective -- “magnanimous” – to describe Salim Saab in their first joint interview after their unfortunate parting which in my unflinching opinion is the biggest blow and loss to the Indian film fraternity. 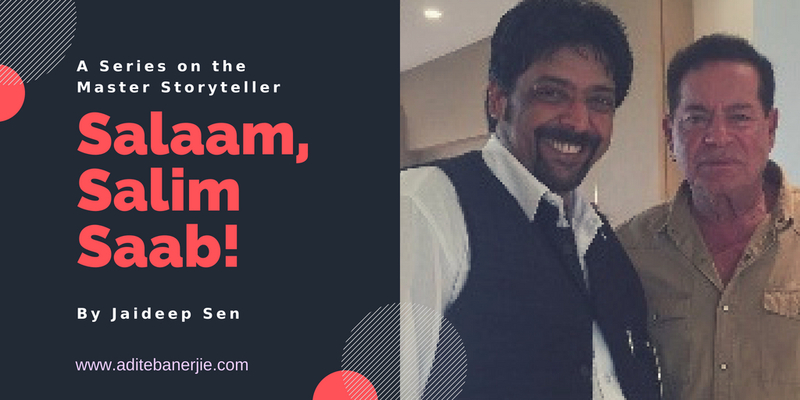 Marvels such as Sholay and Deewar have transcended the boundaries of states and languages to represent Indian cinema and after the Salim-Javed era, only a handful of powerful scripts have been able to achieve similar status. When the duo was asked about their split Salim Saab very graciously took the complete blame for it, which left Javed Saab embarrassed and he said that only a very magnanimous man like Salim Saab could speak and conduct himself in such a graceful manner. This is the essence of the persona and commitment of the legend called Salim Khan Saab. Talking about his commitment reminds me of an anecdote where on receiving the bound script of Dostana with “The End” written on its last page, the film’s renowned director, late Mr. Raj Khosla had remarked that he’d been directing films for the last 25 years and this was the first time he was seeing a script with “The End” written on it before commencement of filming. There is no doubt in my mind that Indian cinema has been blessed with a personality of Salim Saab’s stature. So, let’s celebrate Salim Khan!